This page provides a daily/weekly synopsis of what we're doing in the course. The full syllabus for Forbidden Archaeology is available here as a pdf. Day 1 (August 19, 2016): On the first day of class, I had the students fill out an anonymous questionnaire describing their familiarity with various popular television programs and books that address non-mainstream ideas about the human past (e.g., Ancient Aliens, America Unearthed) and a few concepts and items that are related to prominent non-mainstream claims we'll be discussing. Their answers suggest that, in general, this is not a group of students that has gone very far down the rabbit hole in pursuit of information about these ideas . . . not yet, anyway! You can see some of the results of the questionnaire and read some of the students' responses to why they took the class in this blog post. Day 2 (August 22, 2016): Today's topic was the differences between science and pseudoscience. The assigned readings were this article by Donald Simanek, this short guide by Massimo Pigliucci, and a blog post of mine. Pseudoscience is not just "bad science" -- it's non-science masquerading as science. The complicated nature of archaeology, unfortunately, makes it a relatively easy mark for those who want to pretend to do science. The most important key differences between science and pseudoscience revolve around falsifiability and the treatment of evidence. Without a mechanism for critically evaluating evidence (i.e., objectively determining if it's reliable), without a mechanism for throwing out bad evidence and reworking a model, without the understanding that a scientific hypothesis, by definition, has to be falsifiable based on evidence . . . you're in trouble. Day 3 (August 24, 2016): Doing science requires travelling through both sides of the inductive-deductive cycle. On the inductive side, you can craft an explanation to fit a bunch of "facts." On the deductive side, you can look for facts to try to prove your explanation wrong. 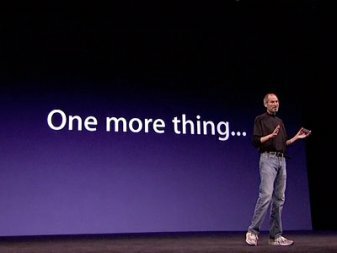 If you're stuck on just the inductive side, you're not doing science: you're creating "just so" stories that may or may not be true. Until you test those stories, there's no way of knowing whether or not they can withstand scrutiny. To do that, you need to make predictions based on those stories and see if the collection of new data bears those predictions out (or falsifies them). Archaeology is a peculiar science: we can't actually observe what we're trying to study (past human behaviors). So we have to think carefully about how to use the inductive-deductive cycle to craft explanations and then to test them against data from the material remains of past human behaviors (artifacts, features, structures, etc.). It's not a simple thing to do. And we have to do it over and over and over again to build a good understanding of the relationships between the dynamic past human behaviors we're trying to understand and the static things that are the residues of those behaviors. Day 4 (August 26, 2016): My goal today was to present to the students a highly compressed "mainstream" view of prehistory and history. It's the "mainstream view," after all, that so much of the "fringe" rails against. I had hoped that I could get through everything from hominin origins to the Industrial Revolution, but, unsurprisingly, I'll have to continue the presentation on Monday (we only made it to the end of the last Ice Age). The main reason I was unable to get through it all was that students kept raising their hands to ask questions -- that's a good thing. Also contributing was the late start we got because of a video that one of the students showed me. The video, taken by her young son from the back seat of a moving car, appears to show a dark, bipedal figure moving in a wooded area somewhere in Columbia. I'm not kidding: it's actually a better "Bigfoot" video than much of what I have seen on the internet, and I can almost guarantee you I'm going to have her try to relocate the spot and investigate further (the figure looks smallish to me, but it may be possible to estimate its size accurately if the trees visible next to the figure could be measured). We're not discussing Bigfoot in the class, but this is kind of a no-brainer for attempting an evidence-based interpretation. The class watched the video several times with the lights out. Someone played the X Files theme on a phone. And now you are up to date. Day 5 (August 29, 2016): Today I wrapped up my presentation of a "mainstream" view of prehistory and history, discussing ideas about why/how human societies go from being foragers (i.e., hunter-gatherers) to farmers (food producers). I mentioned the six "classic" cases of quasi-independent state formation (Mesopotamia, Egypt, China, Indus Valley, Mesoamerica, and the Andes) and went over the characteristics of states and how and why those characteristics might appear. I briefly touched on the massive and rapid technological changes that were/are associated with the Industrial Revolution. My presentation of a "mainstream" model of prehistory/history, which is supported by a lot of evidence, was intended to catch everyone up on what, in general, it is that "fringe" theorists are arguing against. And now the real fun begins. 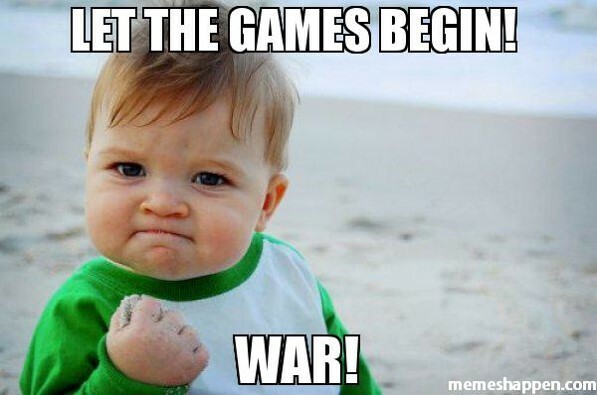 Day 6 (August 31, 2016): A few days before this class, I asked my students to explore on their own online and see what they could learn about the social, political, financial, and religious agendas that underlie the three main topics we'll be discussing. I had them get into small groups and compile their answers before we discussed them as a class. They did pretty well, I think, identifying the two main religion-based streams that flow through "giants" claims (giants are demonic corruptions vs. giants are good and will disprove evolution) and the white supremacist (white god "mother culture"), religious (antediluvian technology), and new age "higher consciousness" aspects of claims related to Ice Age civilization. Identifying social/political agendas underlying pre-Columbian transoceanic contact claims (e.g., religion and justification for the displacement of Native American populations) was more difficult for them. We'll develop these discussions further as we go through each topic. The assigned readings for the topic of "Why the past matters" included this 1990 paper ("The Past as Propaganda") by Bettina Arnold about the use of archaeology by Nazi Germany, a 2009 Smithsonian article about the Bosnian pyramids, and a short essay about geopolitical shifts in ideas about Atlantis and ancient aliens from Jason Colavito's book Faking History. The point of these readings was to provide some examples of how governments and societies use ideas about the past to define themselves and shape how they interact with others. Day 7 (September 2, 2016): Today I talked to the students briefly about the online war being waged between science and pseudoscience. In short, it's the wild west. In my experience, the battlefield is multi-layered and multi-dimensional, allowing information and misinformation to flow in ways that are difficult to understand, much less control. In the realm of archaeology, at least, there's no doubt that the voices of rational, skeptical, scientific thinkers are far outnumbered by purveyors of baloney. But that doesn't mean we're outgunned: science arms us with a card -- the all-powerful evidence card -- that trumps all others. While not everyone honors the evidence card, those who are genuinely curious will. The curious are the audience that we'll be aiming for when we produce online content. We also went through some topics for the students' first blog posts, drafts of which are due on September 19. Their first posts will be related to giants. We went through a list of claims, websites, and ideas that I had been jotting down -- including some old claims, some unfamiliar claims that I've run across recently, and some other things that I think would be interesting to write and read about. I'll be very interested to see what they produce for their first attempts. Day 8 (September 7, 2016): As shown in the syllabus, one of my goals for each of the three main topics we'll be discussing is to work through the historical contexts of where "fringe" claims come from. 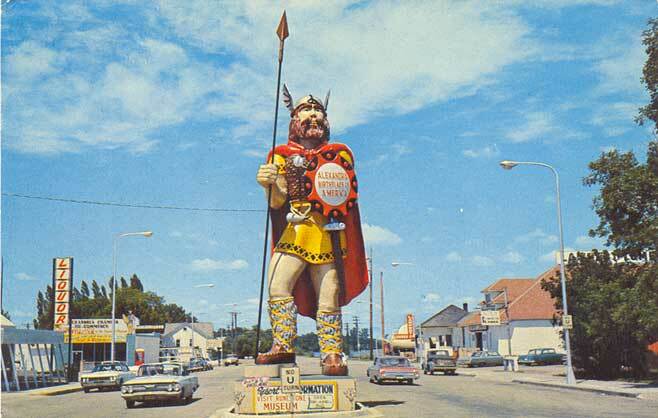 Today we started talking about giants, beginning with several somewhat isomorphic narratives found in ancient Near Eastern and Mediterranean writings (e.g., Hesiod's Five Ages of Man, the Old Testament, the Book of Enoch, and The Epic of Gilgamesh). I discussed the idea (following Adrienne Mayor and others) that at least some ancient notions about a past world populated by giant, quasi-supernatural, human-like beings may have been related to ancient peoples finding a way to accommodate into their worldview the remains of large, extinct animals that they would have no doubt encountered from time to time. It's an easy enough mistake to make, especially for people with no formal training in comparative anatomy confronting the remains of Ice Age megafauna in an era before the concept of extinction took hold. 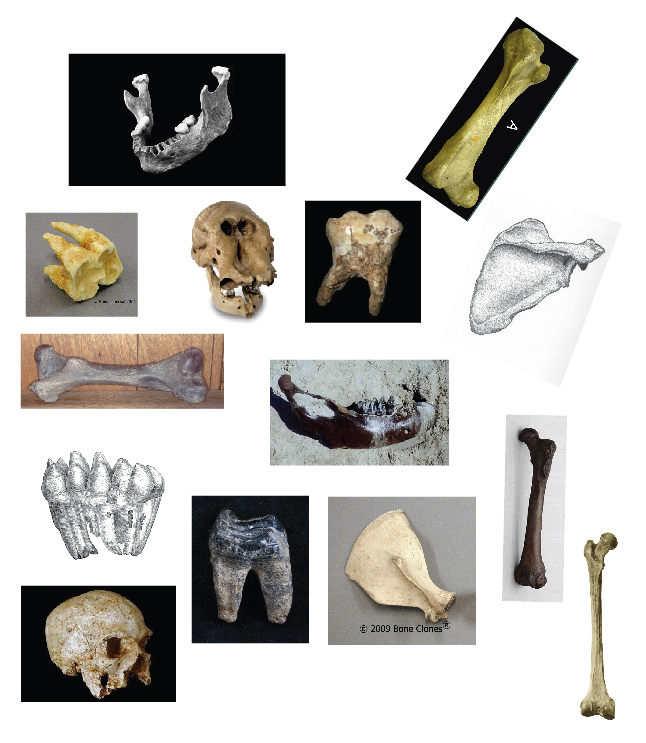 Out of curiosity, I did a little experiment: I gave each student a sheet with unscaled images of fourteen bones, only five of which were human. I asked them to circle each bone that they thought was human. They did pretty well identifying the human bones, but about 40 percent also identified at least one non-human bone as human. The short-faced bear femur (next to the human femur at the bottom right) fooled a couple of people, as did the hippo tooth (top right under the human mandible). No-one thought the mastodon tooth was a human tooth. Day 9 (September 9, 2016): Societies use mythology to make sense of the world around them and to shape their views of themselves. Giants played into the mythologies of post-Roman Europe in a number of interesting ways. The Historia Britonnum (a "history" of the indigenous people of Britain written around AD 828), for example, borrowed heavily from Roman and Greek mythology. Europeans continued the tradition of interpreting the bones of extinct megafauna as those of human giants, whether wicked or noble. The constructions left by the Romans themselves were later regarded as the work of giants from a past age. Science began to chip away at the evidence for giants in the 1700's, marked first perhapbs by Hans Sloane's argument that some of the bones identified as those of giants actually belonged to elephants. Pushback came in the form of the famous 1735 "list of giants" by Claude-Nicholas Le Cat. Le Cat's address was reprinted in the Encyclopedia Britannica and hopped across the Atlantic at some point in the late 1700's (the earliest American printing I have found so far in a 1765 Maryland newspaper). Abridged versions of Le Cat's address were printed time and again in American newspapers from the 1840's until the 1890's as the reporting of giant bones ramped up and reached its peak. The decades-long American fad of giant skeleton reports differs from what happened in Europe earlier, and it remains a fascinating subject to try to understand. The "giant phenomenon" occurred in the context of the appearance of new information technologies (i.e., telegraph and rotary printing press), the forced removal of Native Americans from the eastern U.S., and the debate over the "Mound Builders," among other things. I think it will ultimately be possible to understand what happened and why, and I think there will be some interesting parallels to the internet-based emergence of the new fascination with giants that we're currently witnessing. Day 10 (September 12, 2016): The students' assignment for today was to watch this video of a 2105 presentation by Joe Taylor and come prepared to talk about the claims, the assumptions, and the evidence in the presentation. 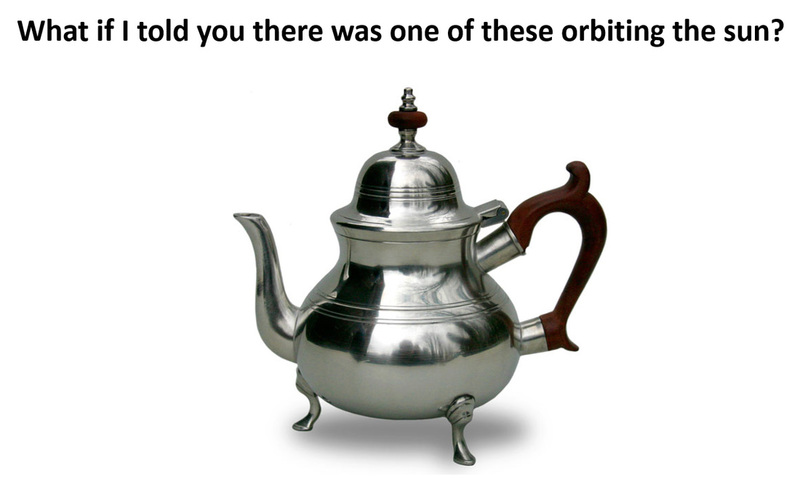 Many of the things that Taylor (a Young Earth Creationist) discussed were connected to things we've already talked about in class, but some weren't. 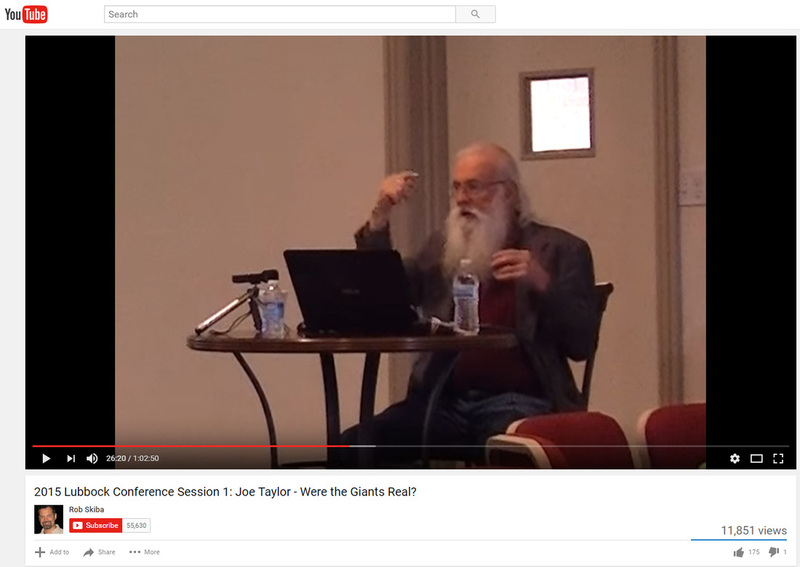 I myself was surprised at how far into the Nephilim whirlpool Taylor appears to be, as the main points I have taken away from his discussions in the past have been related to how the existence of giants would prove evolution to be false and the Bible to be true. That's in the presentation, but you will also here Taylor talk about the wickedness of angel-human and angel-animal matings that create the Nephilim hybrids that populate all the world's mythologies. The evidence for all this, of course, are the bones that no-one is allowed to see. Taylor said several things that I've never heard before that I'd like to follow up on if I get the chance. And he also described defacing the archaeological site of Lovelock Cave, Nevada, which is infuriating. Day 11 (September 14, 2016): Today the class dipped it's collective toe into what I call the Nephilim Whirlpool: the absurd mishmash of giants, religion, mythology, aliens, paranormal, and conspiracy theory that takes Genesis 6.4 as the "Rosetta stone" to understanding the world is in a class by itself in terms of its fetishization of the incredible. We discussed the ideas and "evidence" presented rapid fire by Steve Quayle in one of his videos. If you're interested in nonsense claims about red-haired giants sleeping in stasis chambers being collected by the global elite's secret space program to take over the world during the coming apocalypse . . . be my guest and watch it yourself (or this one). I had several goals in discussing Quayle's take on the Nephilim. One was to illustrate that, in the absence of a mechanism for discriminating between credible and non-credible "evidence," you are compelled to concoct a story that can incorporate, literally, everything. Thus, for example, all of the stories from all mythology, extra-biblical or not, can be accepted literally and scooped up into the Nephilim dragnet. When you discard the desire to use evidence to discriminate credible ideas from non-credible ones, you're just throwing it all into a blender and drinking whatever comes out. I prefer to pick the rotten tomatoes out of the mix first, but I guess that's not true of everyone. Day 12 (September 16): Returning from the precipice of the Nephilim Whirlpool, today we circled back around to a world that includes data: the question of an "ancient race of giants in North America." 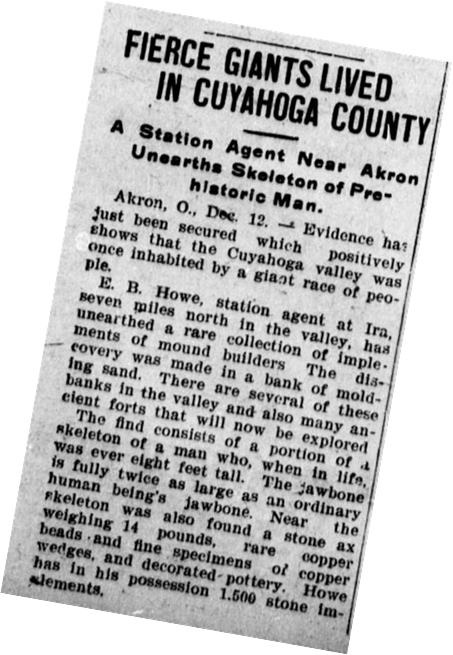 As anyone following the issue of giants knows, there were many (i.e., the low thousands) accounts of the discovery of "giant skeletons" printed in American newspapers from the mid-1800's to the early 1900's. It is those accounts, as well as the odd reports that I stumbled across in county histories when I first started doing archaeology in the mid 1990's, that caught my attention and drew me into the topic: the accounts exist and deserve a good explanation. After a brief discussion of the difference between popular and anthropological understandings of "race," we talked about the physical characteristics that have been used to identify a "race" of giants in ancient North America -- primarily large stature combined with "double rows of teeth." The students read sections of Ross Hamilton's A Tradition of Giants and we watched a bit of this 2012 presentation by Jim Vieira. 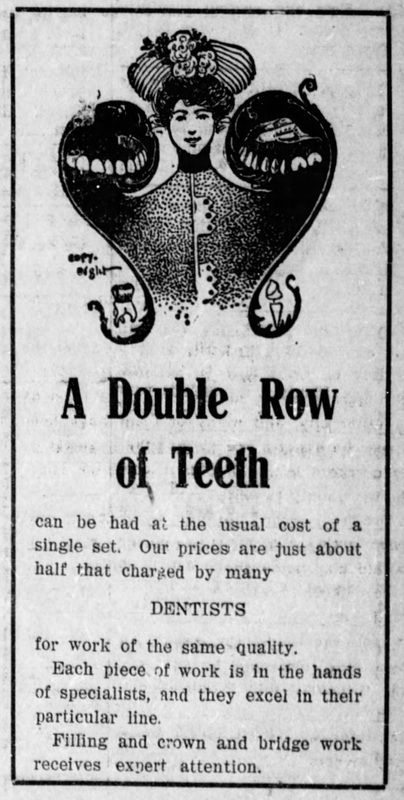 I presented a summary of my own work showing (conclusively, I think) that the modern giantologists have misunderstood and conflated several linguistic idioms ("double teeth," "double teeth all around," and "double row of teeth") as literal descriptions of the dentition of a "giant race." We discussed problems with accurately estimating the height of individuals based on incomplete and/or disarticulated skeletal remains, especially in the days before statistics and before physical anthropologists had compiled data about within- and between-population variation in body proportions and stature. My opinion is that after you throw out the obvious hoaxes, fabrications, and gross misrepresentations, disregard the "double rows of teeth" mirage, and adjust for some patterned over-estimates of height, you're still left with the possibility that relatively tall individuals are over-represented in the earthen mounds of eastern North America. The "Adena royalty" hypothesis may be the last one standing after the dust settles, and I think it deserves a hard look. It will be interesting to see what Vieira thinks and why when he visits my class in the coming week. Stay tuned! Days 13 and 14 (September 19 and 21): Jim Vieira was our guest in class these two days. I wrote about it here on my blog. It was a fun and constructive conversation. Two students ollected video of Vieira (totalling about six hours, including both class sessions, a one-on-one interview with him, and Vieira and me discussing various issues related to giants) for their final project. They've got control of all that footage for now. It will be really interesting to see what they produce from it. Vieira and I agreed that we both need to give their project the green light before it will be made public. I'll keep you posted on that. In the meantime, here's a short video clip I posted to YouTube. Days 15 and 16 (September 23 and 26): The core mission of the class is to help students develop critical thinking and argumentation skills. We're doing that mainly with discussion and writing. At the conclusion of the first topical section of the course, the students are working on their individual blog posts on various topics related to giants. I've read through and commented on their first drafts, and they've also each received feedback from one of their classmates. I'm not yet sure how long we'll be editing before the content is ready to go online. We're also using short presentations to practice structuring and presenting arguments. Groups of about three students are assigned a "pro" or "con" position on one of the basic topics we're covering. And that wrapped up our section on giants. Day 17 (September 28): Today we started our section on claims about the existence of an "advanced civilization" during the Ice Age. 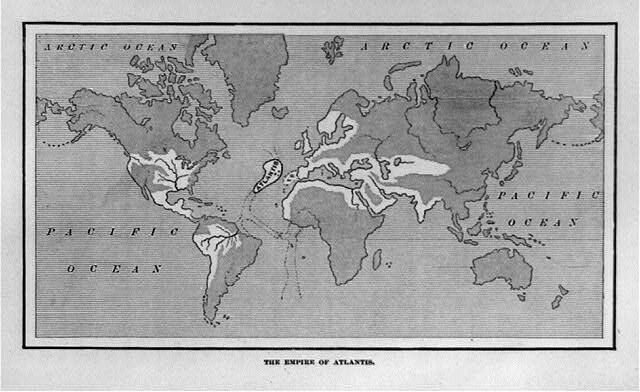 While Plato's writings are the origin of these ideas, Ignatius Donnelly's (1882) treatise on Atlantis is perhaps the most important source for understanding today's claims (and the barely submerged hyperdiffusionism and racism that is runs through them). The students were assigned readings from both Plato and Donnelly. In class we watched the first ten minutes of this documentary about modern Atlantis hunters which provides an overview of the the fascination with Atlantis. We began going through all thirteen of Donnelly's claims about Atlantis (many of which are still alive today) and discussing what evidence would be required to falsify them. I also made sure that the students heard the Donovan's 1969 song "Atlantis," which neatly encapsulates Donnelly's claims in the first half and provides a nearly ideal sing-along refrain in the second half. Day 18 (September 30): Jason Colavito joined the class this morning via Skype. Despite a few technical difficulties, we had an interesting conversation about Colavito's engagement with "fringe" topics and authors (via both his blog and other media) and the history and context of ideas about Atlantis, which he knows much more about than I do. 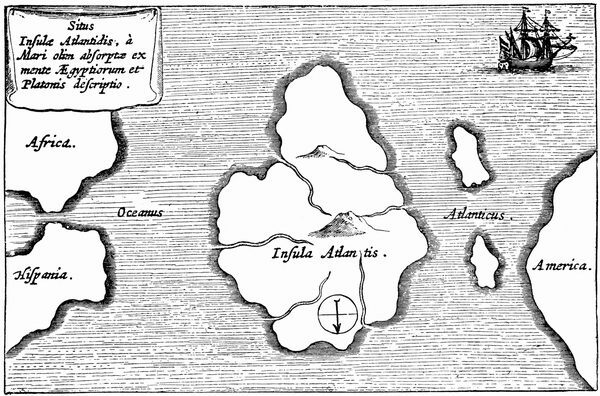 Colavito finds the roots of Donnelly's ideas about Atlantis in the European imperialism and colonialism of the 1500's and later, and framed Donnelly's (1882) Atlantis in the context of questions about whether the United States' position on the world stage. The importance of superior Atlantean people bringing the "greatness of civilization" to the lesser (read: non-European) peoples of the world though global empire was an idea that also resonated with the Nazis, who fully embraced the notion that light-skinned Aryans were inherently superior to non-Aryans. Colavito also discussed how Donnelly's ideas connected to the Old Testament, the nature of the pre-Flood world, and, of course, the Nephilim. I had a lot more questions that I wanted to ask, but the class is, unfortunately, only 50 minutes. Thanks for your time, Jason! Day 19 (October 3): Today we finished discussing Ignatius Donnelly's thirteen claims related to Atlantis, asking in each case what evidence would falsify the claim. In some cases, archaeological data (some of which was unavailable to Donnelly) has already convincingly falsified Donnelly's claims. We can now trace, for example, the conditions, processes, and events leading to the independent emergence of states in at different times in different places in the world. In no case is there evidence of "civilizations" springing out of nowhere prior to 9000 BC, when they would have presumably been started as colonies of Atlantis or extensions of the Atlantean empire. Some of Donnelly's claims (such as the design of the city of Atlantis) are essentially unfalsifiable, since without discovering Atlantis we can't know anything about how it was designed. 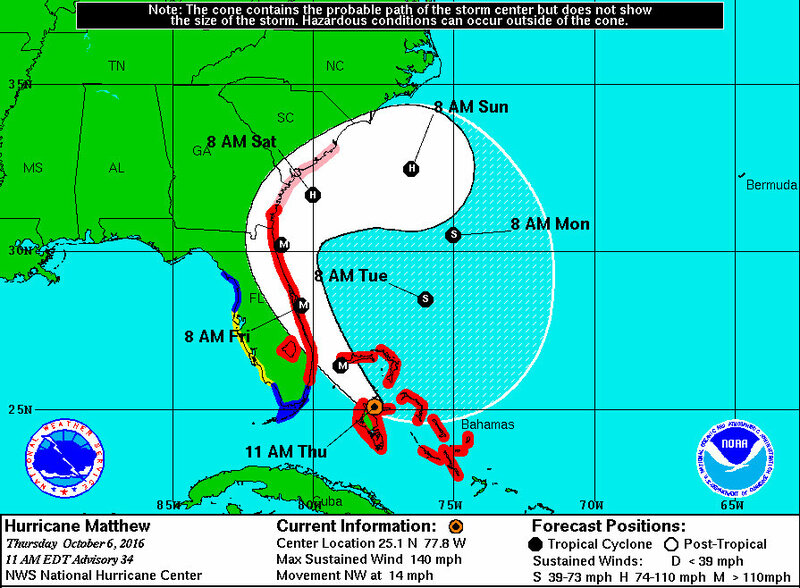 Days 20 and 21 (October 5 and 7): Due to the approach of Hurricane Matthew, the University of South Carolina closed its campus and cancelled classes on Wednesday-Friday. While Columbia itself is not expected to be directly affect by the severe parts of the store, mandatory evacuations of coastal areas of the state mean that state and county government offices are shutting down and transportation will be significantly disrupted as they reverse lanes on I-26 to move a million people away from the coast. 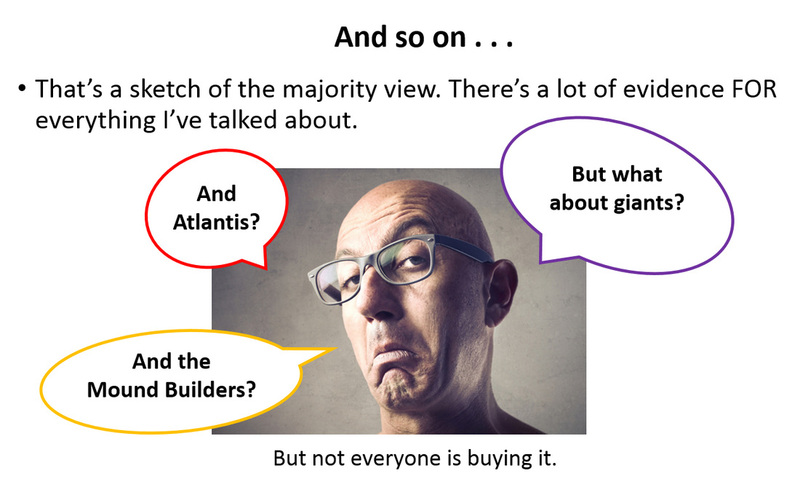 I've started posting student blog posts about giants. You can find a list of those here. Please feel free to comment on the posts: part of the assignments is that students will interact with the public and explain and/or defend their work. Enjoy! Days 22, 23, and 24 (October 10, 12, and 17): We spent three class periods discussing the (2015) book Species with Amnesia by Robert Sepehr. I chose this book because it was a recent attempt at an "out of Atlantis" narrative that does not appear to have been skeptically examined online. The students' second blog posts will deal with various claims contained in the book. "Once we confront this, we may discover our historic cradle of civilization was never out-of-Africa, but out-of-Aftantis." Days 25 and 26 (October 19 and 21): The quest to hone critical thinking and argumentation skills continues, as two groups of students gave short presentations and debated the idea that a high tech "mother civilization" existed during the Ice Age. The "pro" position is the tougher assignment, of course, as there are no physical remains that one can confidently point to as evidence of high technology during the Ice Age -- no tools, no buildings, nothing. The pro position is left trying to cast doubt on authority, make myth equal to material, and explain away the very strong positive case that decades of careful archaeological work has produced. At one point, a finger was even pointed at me: "you're going to believe THAT guy?" Day 27 (October 24): Today we began the final topical section of the course: pre-Columbian transoceanic contact. We discussed the economic, social, and political contexts of the "Mound Builder" myth (the idea that the earthen mounds of eastern North America were constructed by some vanished "race" of people that preceded Native Americans) and did a quick overview of some of the purported artifacts that have been used to support claims of transoceanic contact. While those artifacts -- many of which were recognized as fraudulent in the late 1800's -- are still used to support claims of transoceanic contact today, the social and political contexts of the claims have changed. In order to introduce my students to the level of discourse that is associated with some of the main advocates for these ideas, I played this video for them. Day 28 (October 31): Today's class focused on two "classic" inscribed artifacts purportedly discovered from earthen mounds in the Eastern Woodlands: the Newark Holy Stones (1860, Ohio) and the Bat Creek Stone (1889, Tennessee). In neither of these cases did the artifacts pass the sniff test (you can read a summary by Brad Lepper et al. here). 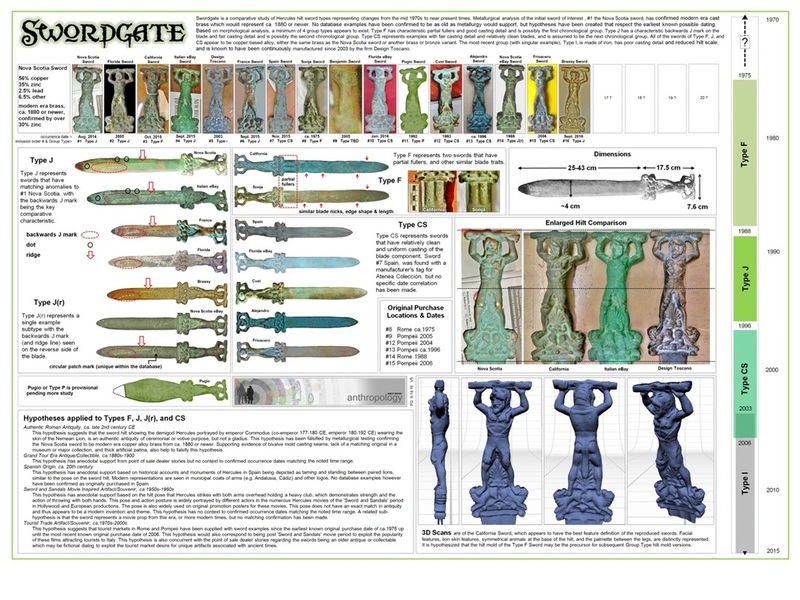 Despite zero convincing evidence that the stones are genuine ancient artifacts and zero other evidence of the phenomenon they are claimed to be connected to (a pre-Columbian migration of Old World Judean peoples to the interior of North America), these artifacts are still considered authentic by some transoceanic contact enthusiasts and at least some members of the LDS church. If you want to see an entertaining video accusing the conspiracy-mongering program America Unearthed of itself being part of a conspiracy to suppress the truth about our history, watch this. 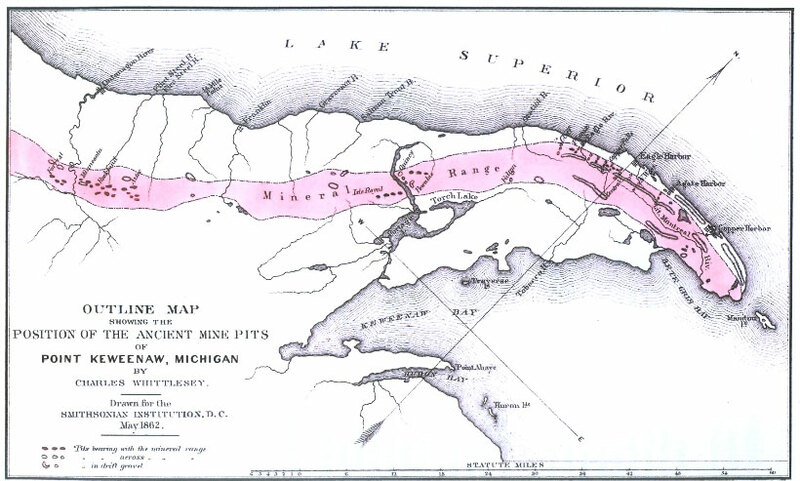 Day 29 (November 2): The topic of the day was claims about the "missing copper" of the Great Lakes. 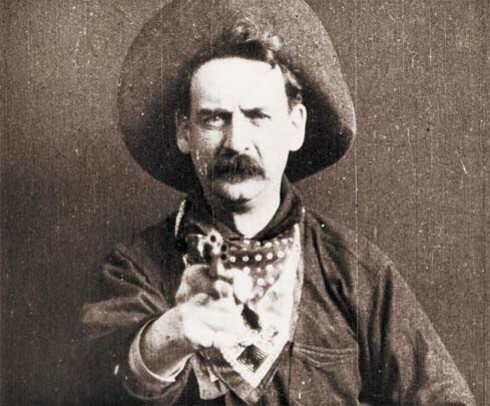 Prior to class, the students watched the "copper heist" episode of America Unearthed and read Jason Colavito's review of the episode and Susan Martin's (1995) discussion of the topic. After presenting a brief background on prehistoric copper/bronze working, I played about 11-12 minutes (from about 9:00-20:00) of this presentation I found on YouTube. The speaker identifies copper-driven commerce as the main force driving transoceanic contact, repeating many of the ridiculous assertions long tied to "missing copper" claims (and also saying a few things I hadn't heard before). I asked the students to try to identify and evaluate the claims and their basis on the fly, as if they were sitting in the audience listening to the speaker present his case. Day 30 (November 4): This class period was devoted to preparing the students for a the coming week of guests invited to talk about various aspects of the Kensington Rune Stone. I outlined the discovery of the stone, walked them through the history of the debate about the stone, and discussed the social, political, and historical context of ideas and claims about the stone. The next three days of class will be devoted to discussing the geology, runology, and interpretation of the stone. While prepping for the class, I came across this website for the feature-length film Lost Conquest, which explores the present-day fascination with Viking heritage in Minnesota. I emailed the director (Mike Scholtz), who informed me that he hopes the film will be released in 2017. In the meantime, you may enjoy the trailers. Day 31 (November 7): Dr. Harold Edwards (Ph.D. in minerology and petrology, University of Minnesota, 1988) joined the class today to discuss the geology of the Kensington Rune Stone (KRS). Edwards, a frequent commenter on KRS-related posts on my blog and a former employee of American Petrographic Services (Scott Wolter's company), shared his evaluations of geology-based claims about the KRS. Edwards pointed out the difficulties that the apparent freshness of the inscription in the calcite portion of the KRS pose to claims for great age, whether the stone was erected above-ground or buried beneath the surface. 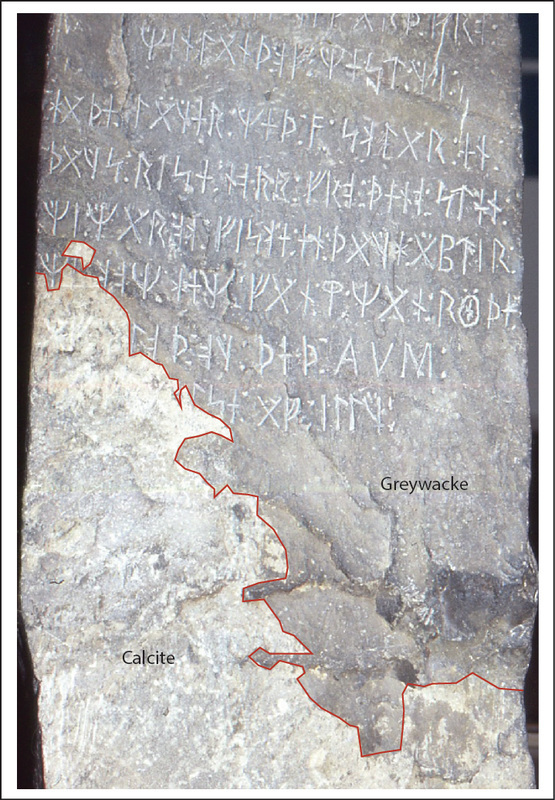 In Edwards' view, the lack of contrast between the weathering on the calcite portion of the inscription and on the greywacke is very strong evidence of a recent date of manufacture. Among other things, Edwards also addressed Winchell's evaluation of the stone and the claims that the runes appear "fresh" because a nail was used to clean them out. In preparation for this class, the students read Michael Michlovic's (2010) paper in Minnesota Archaeologist about the geology of the KRS, the “Geology” section on this pro-KRS website, Alice Beck Kehoe's (2005) discussion of Wolter's work, a 2016 blog post ("Kensington Rune Stone: Theories vs. Facts”) by Scott Wolter, and this recent post ("Calcite Weathering and the Age of the Kensington Rune Stone Inscription (Lightning Post)”) on my blog. Their assignment was to come to class prepared with five written, critical questions to ask Edwards about the KRS. Day 32 (November 9): Dr. Henrik Williams, Professor of Scandanavian Languages at Uppsala University, Sweden, joined the class this morning to discuss the linguistic aspects of the inscription on the Kensington Rune Stone. Technology was both a friend and foe in this case, allowing Williams to participate remotely but also requiring us to try several different things before we got a clear connection. The student reading assignments for this class are listed here. In addition to some materials about Williams' work on the KRS, I had them read Scott Wolter's claims about the KRS runes in his (2009) Hooked X book as well as his more recent (2011) discussion of the "dotted R" rune and his 2016 blog post alleging that Williams is involved in some kind of conspiracy. Williams' take on several key issues related to claims about of the age of the age of runic inscription on the KRS is pretty straightforward: (1) there is no example of a 14th century runic inscription that is anything like the KRS; (2) there is no example of a carved "hooked X" being used as a letter that pre-dates the KRS; (3) even if the dots in one or more of the "dotted R" runes are human-made (and some probably are), they make no sense linguistically. The Larsson papers (dating to the 1880's but not "found" until 2004) suggest that the runes on the KRS were known and being used by some group of people in the late 1800's prior to the discovery of the KRS. 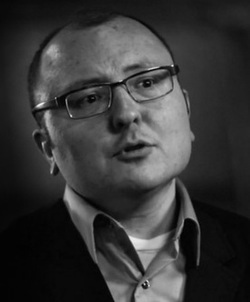 Day 33 (November 11): Today's guest was Paul Stewart, author of The Enigmatist (2013). Stewart offered to participate in the class as I was revising the KRS section following Scott Wolter's withdraw, and I took him up on it after reading a little about his ideas. Stewart drove down from his home in Virginia, so we had an opportunity to talk about a lot of interesting things related to the Golden Age of Artifact Hoaxery in North America (i.e., the mid- to late-1800's). Stewart's take on the age of the KRS inscription is informed by his experience in the world of design. The layout and execution of the inscription strongly suggests that the carver was following practices that didn't develop until after the mid-1400's (i.e., after the printing press was invented). Stewart argues that the "dotted R" rune with the dot between the legs is actually a centering mark which was used to layout the inscription on the stone, thus reconciling how it could be both human-made and not medieval. As for who did carve the stone, Stewart argues that is was (drumroll . . . ) the Freemasons! He has a pretty compelling circumstantial case, I think, for why we might look to late 1800's Freemasonry as the source of the KRS as well as perhaps other rune stones. As I discussed with Stewart, I'll put down $20 that if it was a prominent Freemason that carved and buried the stone there is a document somewhere with the exact inscription or a story about the burying the stone that predates 1898. If that can be found, it's case closed for good. I'm sure Stewart will amused to find out that he presented on Day 33 of the class. Coincidence? Day 34 (November 14): #Swordgate! Today I led the students on a whirlwind tour the epic of Swordgate, from the initial claim of a "100% confirmed Roman sword" last December through the latest attempts to solve the mystery of when and where these swords actually were produced. The importance of Swordgate isn't just that a bogus claim was proved to bogus (though that was pretty fun), but how the saga unfolded online. There are many lessons to be learned about how the internet serves to both facilitate the spread of misinformation and to produce new and useful insights by opening up questions and analysis to the crowd. Swordgate was a battle that was one by the good guys, and I'm proud to have been a part of it. It's fun to imagine how some of the hoax controversies of the late 1800's would have played out differently in the internet age . . . how long would it have taken the world to figure out the Cardiff Giant? Day 35 (November 16): We spent this class talking about the use and abuse of genetics, mostly with respect to claims about transoceanic contacts. 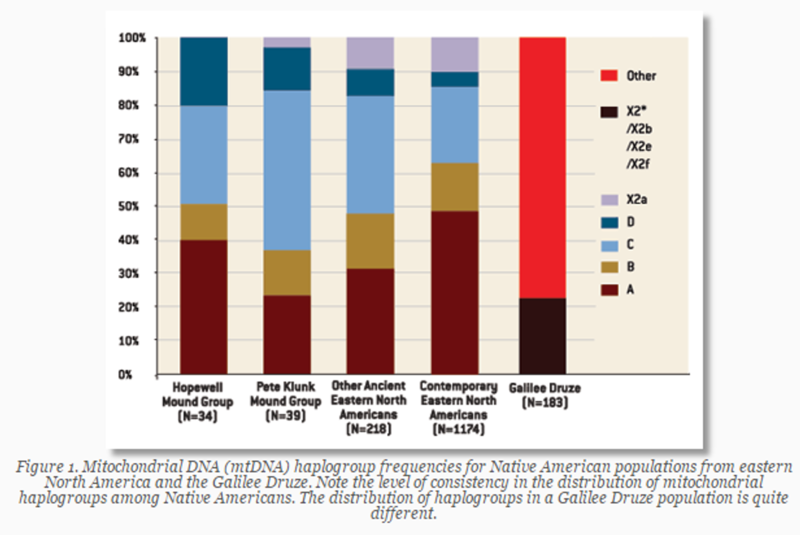 Haplogroup X takes center stage, of course, fetishized by anyone looking to prop up claims of pre-Columbian contributions to the Native American gene pool from Europe or the Near East. The students read the original 1998 article that kick-started the fascination with Haplogroup X, a 2012 article by Deborah Bolnick et al. that critiqued the presentation of genetic data in the film Lost Civilizations of North America, and the excellent 2015 paper by Raff and Bolnick. After going over some preliminaries about mtDNA, haplogroups, and the soup of claims about them, we watched this video. I attempted to incentivize pointing out factual inaccuracies and logical leaps by offering a piece of leftover Halloween candy to whoever got his/her hand up first. Day 36 (November 18): Today was our last presentation/debate day. The topic was pre-Columbian contact by Near Eastern/Mediterranean peoples. The "pro" side trotted out some of the usual suspects (the Newark Holy Stones and the Kensington Rune Stone), but also threw a curveball with a genetic argument that we hadn't explicitly covered in class. The "con" side was well-prepared to not only point out the problems with the evidence, but place the claims in their historical contexts. 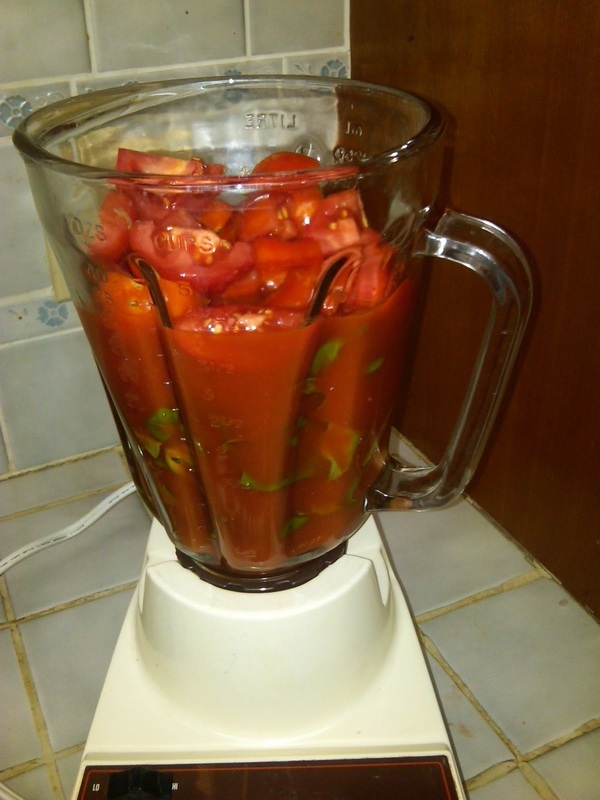 No tomatoes were thrown, and nobody got hurt. Day 37 (November 21): For our last "content" class, we were honored to have Jack Churchward join us via Skype. Churchward is the great-grandson of James Churchward, who wrote extensively in the early 20th century about the lost continuent of Mu. Churchward walked us through the claims about Mu and the story of his great-grandfather's life. The story of Mu is easy to dismiss (it makes numerous claims that are easily falsified by what we know about archaeology and geology), so I was more interested in the historic context of the story. It incorporates aspects of the Atlantis story and has moralistic and racial aspects, but (interestingly) appears to completely lack giants and other supernatural beings. You can learn all about Mu on Churchward's website. Days 38, 39, and 40 (November 28, November 30, and December 2): Our last week of class is devoted to student presentations. The presentations are short (3-5 minute), informal opportunities for each student to get in front of the class and tell us what he/she has been working on. There are a variety of topics (I was pretty liberal with letting them go outside of the topics we focused on in class), and I'll be interested to see what they come up. My original plan was to put all the projects online, but I'm not optimistic I'll be able to do that. Given how much back-and-forth work was required to get some of the blog posts ready to go online and the time crunch we'll be dealing with at the end of semester, I don't plan to spend a lot of time helping them with editing. If some of the projects are submitted "clean" and ready to go, however, I'll put them up. Watch this space.